The Chevy Equinox is one of America’s favorite small crossover SUVs thanks to its combination of stylish design, comfort, and practicality. (Equinox sales are up more than 11 percent this year compared to last.) This is especially true in the Boston Area, where Equinox continues to be a very popular model. One of the most appealing features of the Equinox is the availability of a powerful V6 engine. In recent years many automakers have stopped offering a V6 in their small crossover segment due to fuel economy concerns or a lack of consumer demand. This leaves the Equinox as one of only a few models in 2014 that offers a six cylinder small crossover. Even though the Equinox has a powerful engine, EPA fuel economy estimates for the Equinox are 22 mpg city/32 mpg highway and 26 mpg combined with front-wheel drive, and 20/29/23 with all-wheel drive. Impressive indeed. Since Equinox received high marks from JD Power in their rankings for initial quality, there is little doubt new car shoppers appreciate this Chevy model’s overall build quality. The Equinox also has very impressive ride comfort and overall quietness of its cabin. In addition, the Equinox’s rear seats recline and slide back to give second-row passengers outstanding legroom. Standard safety 2014 Chevy Equinox features include ABS, electronic stability and traction controls, front passenger side-impact airbags and side curtain airbags. Also standard is the OnStar emergency communications system, including automatic crash notification, an emergency assistance button, remote door unlock and stolen vehicle assistance. A rearview camera is standard on all trims except the LS. Standard on the LTZ and optional on the 2LT are rear parking sensors and frontal collision/ lane departure warning systems. For more information, please click here to view our “Build Your Own” page for the Chevrolet Equinox. The 2014 Volt will offer the same impressive list of features as last year- but for $5,000 less. prospective buyers using these sites to search for a plug-in electric vehicle or a gas-powered alternative sedan. The Chevrolet Volt allows gas-free driving for an EPA-estimated 38 miles (61 km), depending on terrain, driving techniques and temperature. The range-extending engine gives the Volt up to 380 total miles (615 km) of total driving range. The 2014 Volt will start to be available in dealer showrooms late this summer. Chevrolet will introduce two new colors – Ashen Gray Metallic and Brownstowne Metallic for the 2014 model year – and a leather-wrapped steering wheel. New Connectivity Features Support Safer Driving. The Chevrolet MyLink available on the new 2014 Chevy Malibu in the Boston Area offers enhanced connectivity and convenience with the new Text-to-Voice feature for smartphone users and Siri for iPhone users. Each enables voice-controlled connectivity. Text-to-Voice converts incoming messages to speech, reads them over the audio system in the car, and allows the driver to reply with preset messages such as, “I’m driving right now- I’ll contact you later.” (Users can create and save their own preset messages when the vehicle is in Park.) The feature requires a compatible smartphone with Bluetooth profile and applicable text messaging features. Visit http://www.gmtotalconnect.com for further information on phone and radio capability. Driver safety is Mirak Chevrolet’s first priority. A driver’s focus should remain on driving- and texting can usually wait. So, only text and drive with this voice system and never text using a handheld device while driving. The 2014 Malibu is offered in LS, LT and LTZ models at Boston Area Chevrolet dealers, with pricing starting at $22,965 including destination, but excluding tax, title, license, dealer fees and optional features. All models include a two-year/24-month scheduled maintenance program, which covers four oil changes, tire rotations and 27-point inspections. Should you Wax a Brand New Car? Should you wax your brand new Chevrolet? Or not? 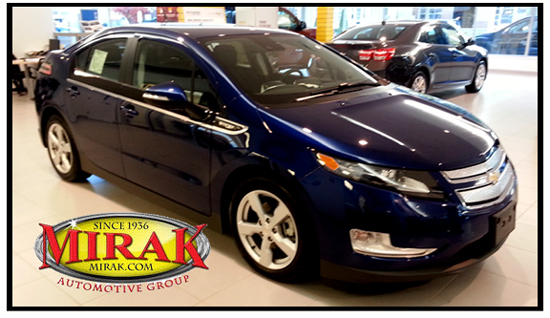 Mirak Chevrolet is your Boston Area Chevrolet Dealer. We are your Boston Hino service and repair specialists. Our factory-trained technicians get the job done right the first time. We have the experience and resources to give our customers the award-winning service they have come to expect. We even have Saturday hours. With over 70 years of continuous operation, one of the largest service centers in the Boston Area, and a huge Hino parts inventory – we get your Hino truck back on the road- quick!